Ye mournful souls, be glad: The year of jubilee is come; Return, ye ransomed sinners, home. 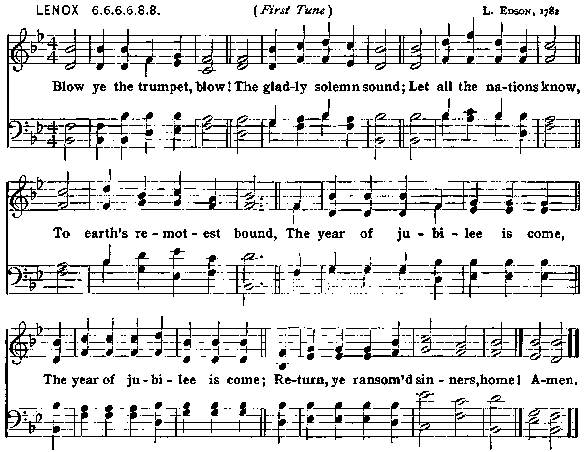 Throughout the world proclaim: The year of jubilee is come; Return, ye ransomed sinners, home. The gift of Jesus' love: The year of jubilee is come; Return, ye ransomed sinners, home. Before your Saviour's face: The year of jubilee is come; Return, ye ransomed sinners, home.